Some buildings make me smile. And how could this one not......? Green, corrugated fun in a traditional Welsh barn. 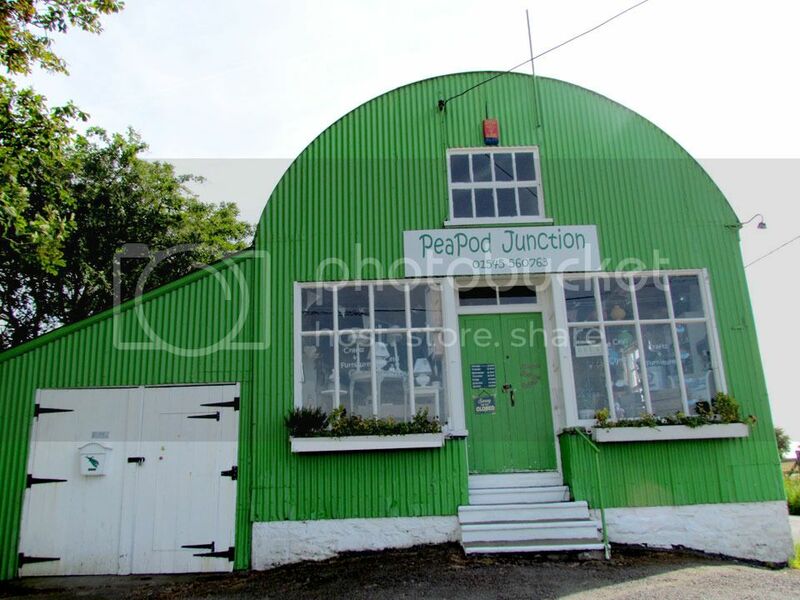 PeaPod Junction, such a quirky name for a gift shop and you will find it in Cardigan Bay, Wales near Cwmtydu cove. What pretty things you've picked out - I love the paper cake cases. Those Kilners with the cloudy lemonade are stunning! Can I come next time? This is a really fun looking building. What a perfect looking afternoon tea. We love baking, and tea is our very favourite meal! What a fab building. Love it. so pretty i did a Alice in wonderland party for Erin it was such fun and so cute. It's a quarter past midnight and I now want cake after seeing those wonderful photos! Brilliant, love it when we drive past places like this and just stop on impulse. I love tea parties to much and a vintage one has to be the best!! Lovely pictures and inspiration. That looks like the perfect tea party. Love the pink lemonade.